In the Fall of 2017, my 3 year old son was diagnosed with a rare genetic condition, called Ataxia-Telangiectasia. It's neuro-degenerative, among other things, and primarily affects his movement. He is very bright, but struggles to even walk across the room. He had started to show symptoms when he was about 20 months old. Knowing he needed a little extra help, his pediatrician referred us to ESU #3. One simple phone call and we were connected with a Services Coordinator, who immediately made referrals for him to be screened by PT, OT and ST. Before we knew it, we had an amazing team of experts who all worked together to help us come up with a plan of support for not only our son, but our entire family. Our Services Coordinator held our hand through every part of the process. 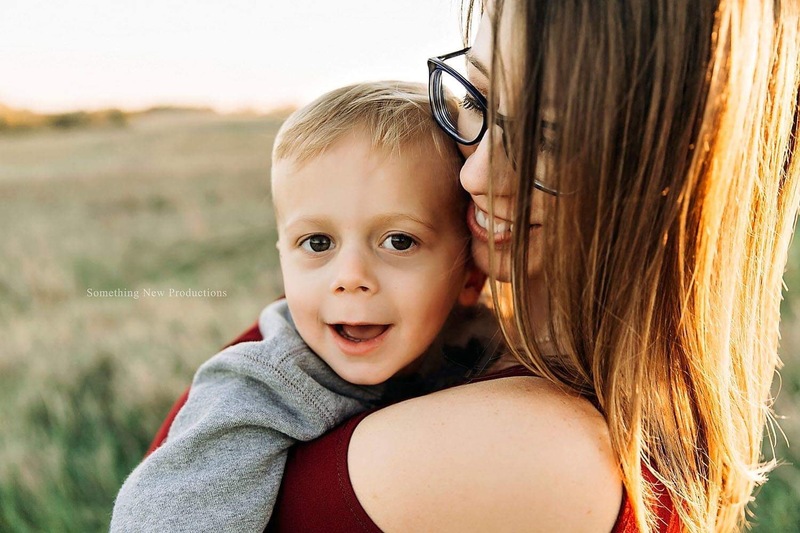 She reached out constantly with services we might be eligible for, and was always there as we adapted to our son's life-changing diagnosis and increasing needs. She linked us to financial resources, helped us navigate the system, and also introduced us to other wonderful special-needs families in our community. Our son's Early Intervention Physical, Occupational and Speech Therapists have been some of his biggest advocates from the very start. They really listened and valued what was important to US. While he made improvements in some areas more than others (limited only by his diagnosis), they celebrated every milestone with us. And they mourned with us when we received the news about his diagnosis. From helping us with grants for home modifications, to providing thoughtful and practical recommendations for things we could use in the space we had; they helped us find things that would improve his strength, and also his enjoyment of everyday living. And beneath it all was their concern with his overall quality of life. Each day they came with smiles and he greeted them with the same. We are so blessed to have been given such a wonderful team of individuals that treat our son like the most important little boy in their lives. As he grew into school-age services, they were right there with us to ensure a smooth transition. Because of the trust they helped us to build, we entered school with complete confidence that he would get the same extraordinary care through DC West Schools as he had received with Early Intervention. Our Services Coordinator also helped create a seamless hand-off to his new caseworker, and remains available today if I really need her. Not just as a Services Coordinator, but a friend. Given these amazing relationships that we had learned so much from, I was honored when they asked me to be a part of the Planning Region Team with other providers in the ESU #3 area. After a year of participating, I now share the role of Co-Chair. It is an amazing experience to watch people gather every month to talk about their passion for the kids and families they serve. It's an open forum where they learn from each other and share ideas to help develop best practices. It's inspiring and I learn something every time. Though our son will face challenges in our future with his health, I feel 100% confident that the Early Intervention Services helped to start off the best life he can possibly have. For more information about the Early Intervention program or to refer your child, please call 402-597-4936 or visit edn.esu3.org.